Buy one today for $229! Do you snore or experience daytime sleepiness? Try one now with our 14 day money back guarantee! Better sleep can transform your life. Don't wait – seek treatment for sleep apnea and snoring problems now at ResSleep! If you or your partner is experiencing snoring, low energy, gasping when you’re asleep, breathing problems while sleeping, or daytime sleepiness, then you or your partner may be suffering from sleep apnea and require treatment. This condition affects 1 in 5 adults in Australia, for which we offer our sleep solutions. The home sleep test and sleep apnea home treatments we offer may help. At home diagnosis and treatment are now more efficient, cost-effective and easier for GPs and patients to access than ever before. Talk to our experts or your GP today to see if you should undergo a bulk billed* sleep apnea test at home. Our sleep solutions could change your life and taking a simple test in the comfort of your own home is the first step. This disorder can cause severe lifestyle problems, such as fatigue, muscle aches, poor memory and poor concentration. However, it doesn’t have to be this way. Sleep apnea can be diagnosed via our at-home tests, meaning that you don’t have to disrupt your day to day routine in order to be assessed. Once diagnosed, we put together a treatment plan that aims to get your sleep quality back on track, ensuring that you begin feeling healthier and happier in time. Visit our sleep apnea page for more information on the symptoms, causes and treatment for this disorder. Snoring can be much more than a nuisance – in fact, it comes with a host of health problems that can really take their toll on your overall quality of life. When you come to our one of our Sydney, Melbourne, Brisbane, Adelaide or Perth sleep disorder clinics, we can help you overcome these issues via a few simple tests. With the help of our expert team of staff and state of the art technology, you can expect to begin feeling better both physically and mentally with your snoring under control. Visit our snoring page for more information on how you can alleviate the effects of your snoring. 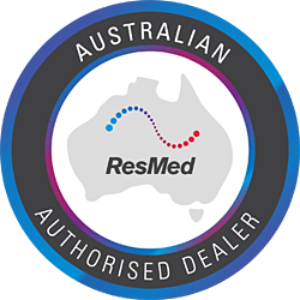 We are proud to be a ResMed Authorised Dealer. By visiting one of our locations you will be offered the highest quality clinical care and ResMed products. We have clinics throughout Australia in Sydney, Melbourne, Brisbane, Adelaide, Perth and beyond, click here to view all locations. Receive the latest news and exclusive deals from ResSleep. A home sleep study is the most easily accessible and cost effective service to test and diagnose sleeping conditions. "CPAP treatment has been life changing for me in so many ways. When I was suffering with untreated sleep apnea I would easily fall asleep at traffic lights and feel weary all day. There was no doubt about it; I endangered my life and the lives of other road users. These days I feel more energised throughout the day and I am able to drive for hours without feeling the slightest bit tired. Put simply, my life has changed for the better." Don’t be left snoring or experiencing discomfort, avoid these common mistakes.